The purpose of this study was to assess the effectiveness of silver-embedded surfaces (BactiBlock®) to prevent surface colonization by multi-resistant bacteria (MRB) and to reduce the incidence of MRB colonization and infection in patients admitted to an intensive care unit (ICU). A 6-month prospective observational study in a 24-bed mixed ICU divided into two identical subunits (12 beds each) was designed. Seven solid mobile screens were placed in one of the subunits while in the other cloth screens remained. Solid screens were constructed with high-density polyethylene embedded in Bactiblock®. To evaluate the effectiveness of screens coated with Bactiblock®, number of MRB isolates on screens were compared for 6 months. Likewise, numbers of new patients and ICU-stays with MRB colonization in the two subunits were compared. One hundred forty screen samples were collected in 10-point prevalent days. MRB were detected on 28 (20.0%) samples. Over the 70 samples taken on cloth folding screens, MRB were detected in 25 (35.7%), while only 3 (4.3%) of the 70 samples taken on Bactiblock® screens were positive for MRB (p < 0.001). The unit with Bactiblock® screens presented fewer number of ICU stays with MRB colonization (27.8% vs 47.1%; p < 0.001). 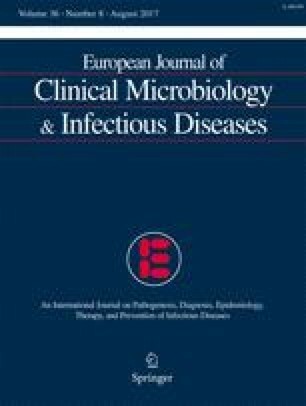 No significant differences were found in the global incidence of MRB nosocomial infection. The presence of Bactiblock® embedded in solid folding screens avoided MRB surface colonization and reduced MRB transmission to patients admitted to critical care units, proving to be an useful tool in the control of MRB. The Hospital La Fe Bioethical Committee approved this study.